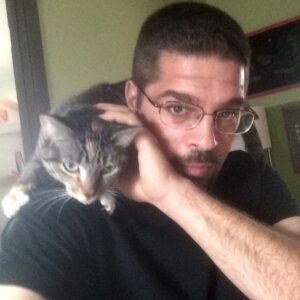 Mike grew up in a New Jersey household with cats, dogs, rabbits, birds and reptiles. He currently has four dogs of his own. 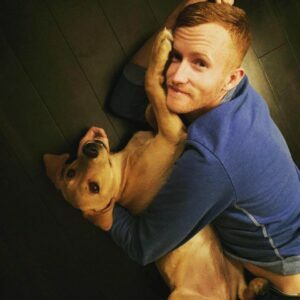 He has been working in the pet care industry for over seven years, first in in New Orleans, then in New Jersey, and now in Austin. Mike has experience in Marine Reservation. He earned a BA in Communication from William Paterson University, as well as an MFA in Drama & Communication from the University of New Orleans. He volunteered for three years at the Ramapo Bergen Animal Refuge, and currently volunteers at Austin Pets Alive! He is a fan of all animals and breeds, but has a soft spot for Pit Bulls. Mike is also a pet photographer. Marcia recently moved to Austin from Mililani, Hawaii, where she has lived for the past 30 years. She has been around cats and dogs her entire life. One of the first pictures of her as a baby, is the family dog and cat on their hind legs looking into the crib at her. She has always loved being around animals. 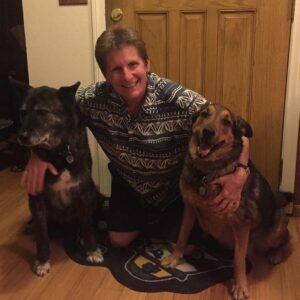 She has raised all types and breeds of dogs from pure breeds to rescue dogs, including Great Danes, Sheep dogs, Terriers, Malamutes, Weimaraners and “Poi-dogs”. She’s always had at least one dog and/or cat to call her own. She feels the company of animals help keep her motivated to get up and moving, as well as make better decisions in life. She decided to start pet sitting upon her arrival to Austin after her elder dog passed away. She wants to remain around “dog energy”. Marcia thinks the companionship and love of a dog is like that of none other. 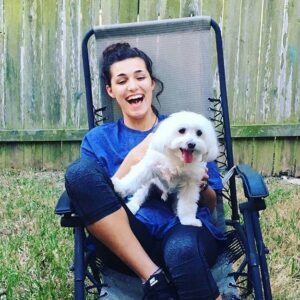 When Ari’s hands aren’t tangled up in the leashes of our furry friends, she’s using them to serve our two-legged austinites with her massage skills, crafting, cooking up something yummy, or challenging herself to learn something new! She thoroughly enjoys her pet-sitting. It allows her to share her heart and passion for life with others, and spend plenty of time grounding herself in nature. 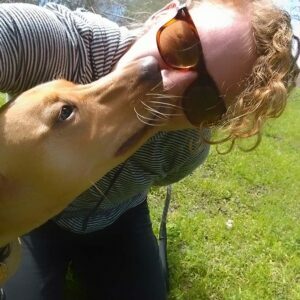 Matt grew up on a mini-farm on the outskirts of Sydney, Australia and has always loved time spent with dogs, as well as the birds and horses on the property. After winning the Green Card Lottery, he moved to Austin in January 2015. He spends his time working remotely as a travel advisor and freelance Spanish-English translator, as well as keeping Fur Pet Care’s dog and human clients happy and healthy! He loves keeping active, playing volleyball, basketball and soccer in local sporting leagues, and you can often find him biking on Austin’s trails or walking his pup Matilda along Lady Bird Lake. Isabella is Fur’s administrative assistant and Bernice’s right hand (wo)man. She has a very strong passion for the goals and dreams of Fur Pet Care, and those dreams coincide with her own dreams. Someday, she hopes to become a certified dog trainer. 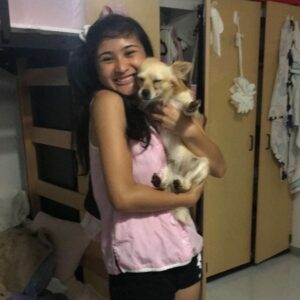 She would love to train police dogs, allergy dogs, and therapy dogs which she would then place with those in need, like Veterans with debilitating PTSD, or those who suffer from extreme anxiety. 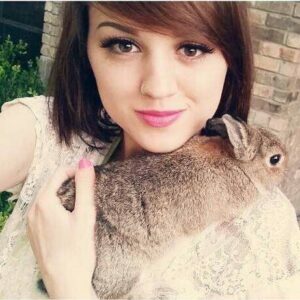 She worked as a sitter for Fur between 2013-2015 before retreating to only office duties, so a lot of the company’s older clients are very familiar with her and call her by the shortened version of her name ‘Bella’. Being familiar with clientele brings her joy. She loves being the communicator between clients and sitters, but often misses the time with the animals. She takes comfort in knowing that she is doing her part in making sure all the Furbabies have a sitter who will be there for them. Her hobbies include taking care of her own dogs, two Lab mix, shelter rescues, LooneyToon and Desmond. Desmond is part Bully and looks it. Bella is quite the advocate for breeds like Pit Bulls, Great Danes, Dobermans, and German Shepherds. Basically, any breed that often gets mislabeled or misunderstood as aggressive or dangerous. She used to volunteer and spend a lot of time at shelters, but these days, she is highly focused on being a mother. Bella is super crafty and creative, when she actually has the time to work on a project. She went to college for dance and music. She loves the earth, nature, and cares very much for the environment. 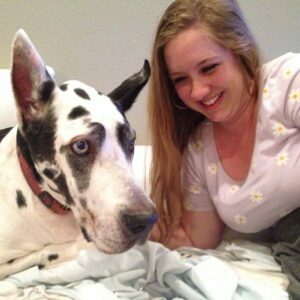 Claire grew up in Richardson, TX, tending to and loving her family dogs Cookie and Zuki and cats, Igby and Callie. Currently, she has an elderly dog of her own, Mellow. Due to Mellow’s age, he doesn’t require much, and Claire is glad she has the extra time and energy to care for all of her awesome Fur clients! As a graduate of UT Austin with a dual degree in Arabic and Anthropology, she hopes to continue to learn and travel. She loves taking long, wandering walks and exploring all the awesome nooks, crannies, creeks, and parks that Austin has to offer. She has been with FUR since May 2014, and she is so grateful for all the furry friends she has made. She is a true girly girl at heart, and she loves her other job as an esthetician. She also knows she is so lucky to get down and dirty on hikes around town with FUR’s fantastic friends! Alli was born and raised in San Antonio Texas, where she fell in love with the breakfast taco. She attended a musical theater high school, where she sang and danced her way to graduation. She enjoys being out in nature at Barton Springs, or at home with her dog watching any genre of movie. She is also a massage therapist, and is passionate about healing. Dogs have always been her favorite animals, and she’s so grateful to be working with them everyday. Savannah is 21 years old born and raised in Austin,Tx. 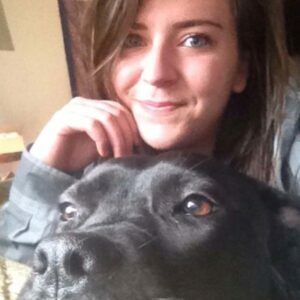 Some of her hobbies include hiking, yoga, theatre, movies, and spending time with her pup and bunnies. She fell in love with animals at a very young age having grown up with everything from a dog to a ferret! Savannah hopes to one day travel the world rehabilitating all wildlife, and maybe even opening up her own rehabilitation center. In the mean time she couldn’t be more grateful to be working with animals every single day. Los Angeles born and Houston raised, Sammi now lives part-time in Austin to attend Saint Edward’s University. She’s a lover of all music and of all animals. She’s desperately missing her three furry babies in Houston, but she’s happy that she has the opportunity to still love and take care of animals while she’s more than 100 miles away from home. Sammi is also pet first aid certified. 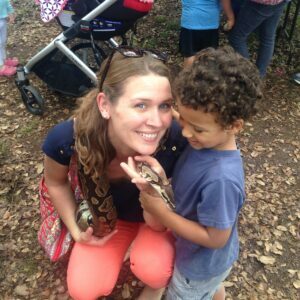 Elizabeth grew up in New England and her love of the beach, lobster, and skiing was replaced by an even deeper love for adventuring outdoors in Austin with her 5 year old son, Calvin. Elizabeth graduated from the University of Massachusetts, Amherst with a major in Sociology, after foregoing her dreams of a career in musical theater, to work with inner city youth. She has worked as a case manager with adults with disabilities and a preschool teacher, before obtaining her certification as a Special Education/General Ed teacher in Texas. She taught for one year before taking on the biggest teaching job of her career, as a homeschooling mom to her son. When her successful childcare business no longer served the needs of her family, Elizabeth cut back and followed her son’s love for animals and began boarding dogs with FUR. Loving on your animals has been centering for her family and helped her slow down and focus on what’s important, SNUGGLES! 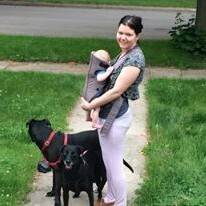 Elizabeth and Calvin adore caring for your pets and it allows her to continue to be a single, stay at home mom, while starting up new services within her business.